Country music fans, get ready for something truly special. The award-winning, boundary-smashing hit artist Miranda Lambert is back on tour once again, and this time, she’s teaming up with Little Big Town to give you a show you’ll never forget! Coming this summer to the DTE Energy Music on Friday 24th August 2018 – tickets available now! Kicking off her career age sixteen and winning a studio session in a prestigious talent show, Miranda Lambert showed incredible resilience and strength even then, actively leaving the controlling studio environment in order to learn to play guitar and write her own songs. In an environment traditionally occupied by men, Miranda Lambert burst through with her eye-opening songs, unafraid to tackle any subject from heartbreak to domestic abuse. In doing so, she’s scored countless number ones and sold millions of records. Now, Miranda Lambert is on tour with her latest release, the introspective “The Weight Of These Wings”. 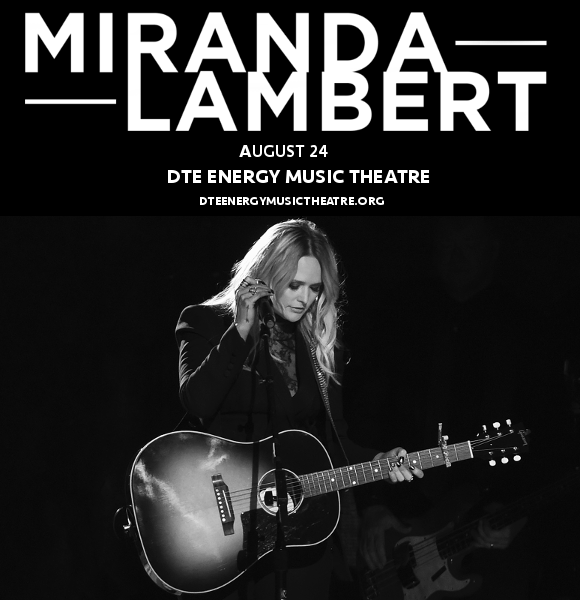 Don’t miss your chance to see this truly one-of-a-king pioneering artist live – get your tickets today to see Miranda Lambert and Little Big Town live, while you still have the opportunity!